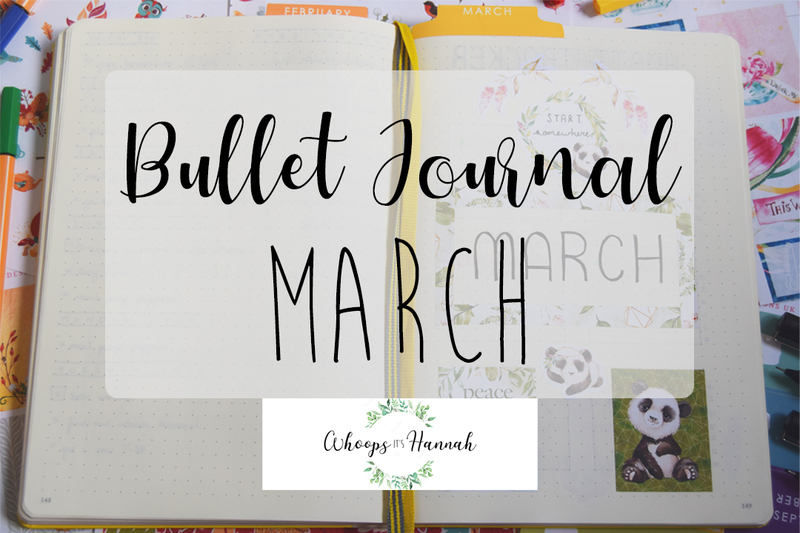 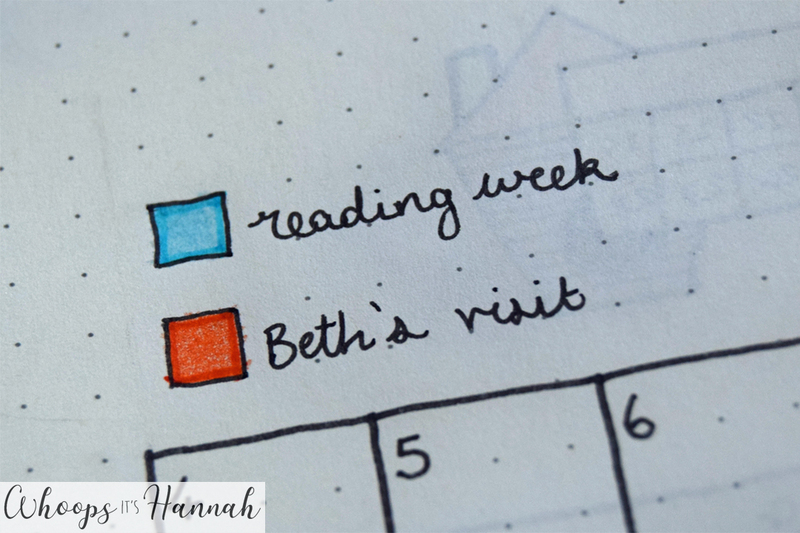 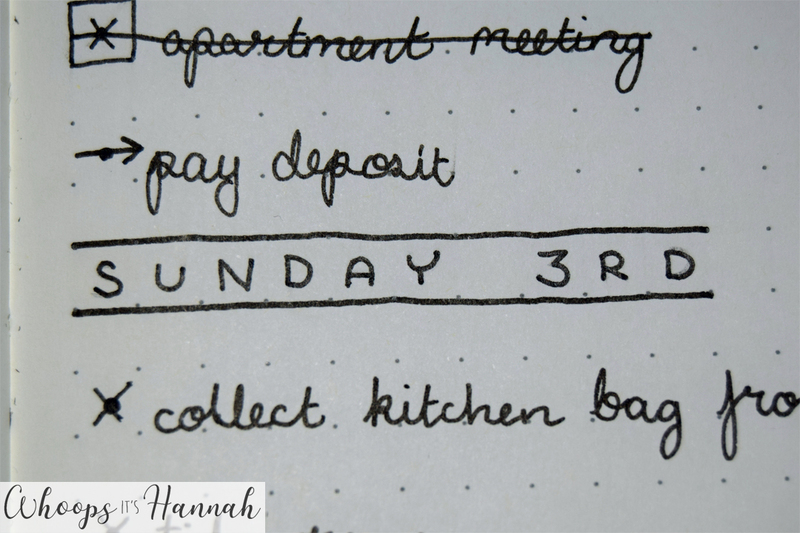 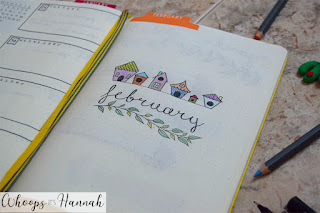 Today's post is a look at my bullet journal set up for the month of March. 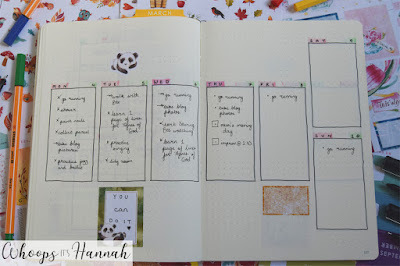 This month's theme is entirely based off the 'Peace 2018' stickers from EllieBeth Designs; the cute panda and calming colour scheme is carried throughout the month's pages. My title page is definitely not my favourite. 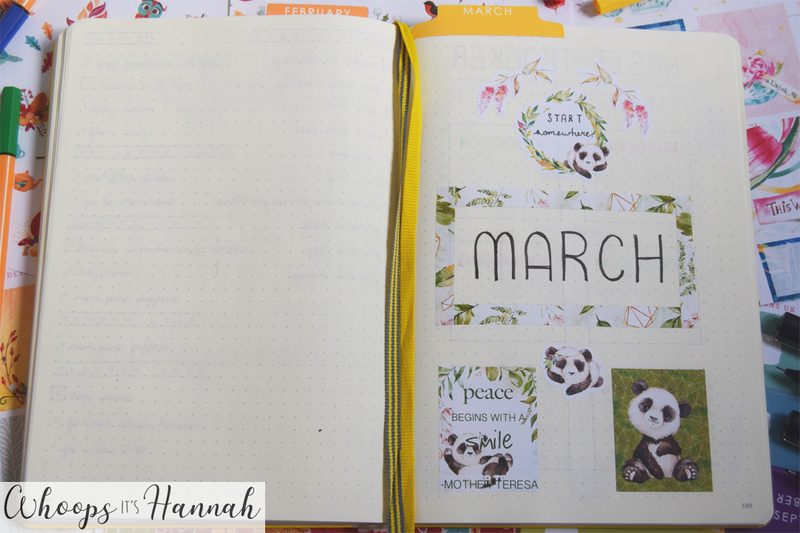 I think it looks cluttered and messy, but at least the stickers are pretty! The features that I do like are where I framed the 'March' with washi tape from the 'Peace 2018' collection, and used one of the wreath stickers to write 'start somewhere' in. 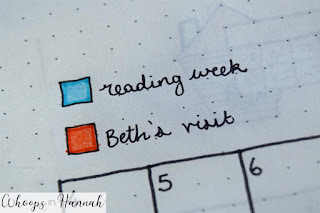 I thought that was a very fitting little message to put in my bullet journal, which is of course full of to-do lists that I need to 'start somewhere'! I like my 'Habit Tracker' and 'Goals' pages much more than the cover page this month. 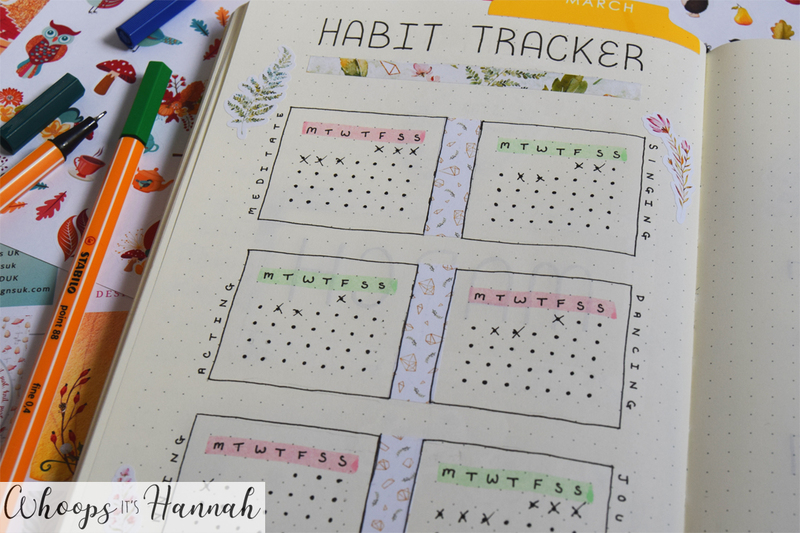 I saw this idea to fill the habit trackers with dots instead of numbers on Pinterest and I love it. It looks so much cleaner and streamlined. 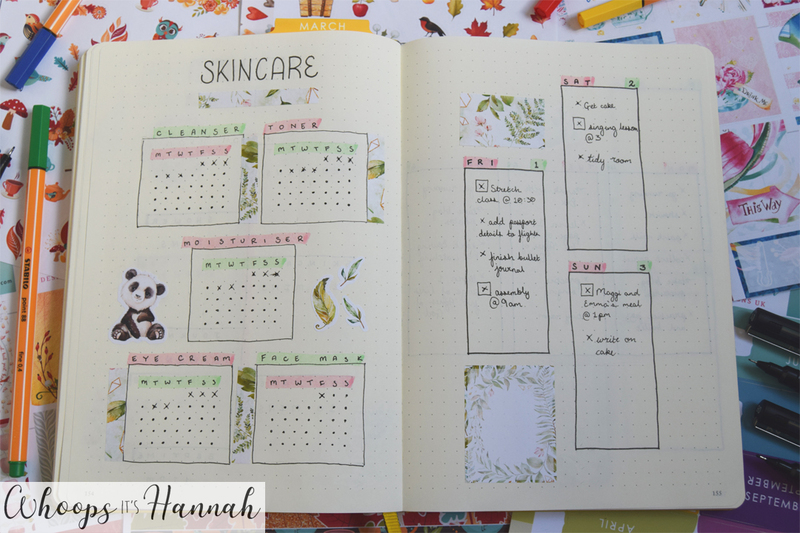 Underneath the title, I used some more washi tape, and in between the habit tracker boxes, I chopped up a big box sticker and used that as short strips of washi tape. 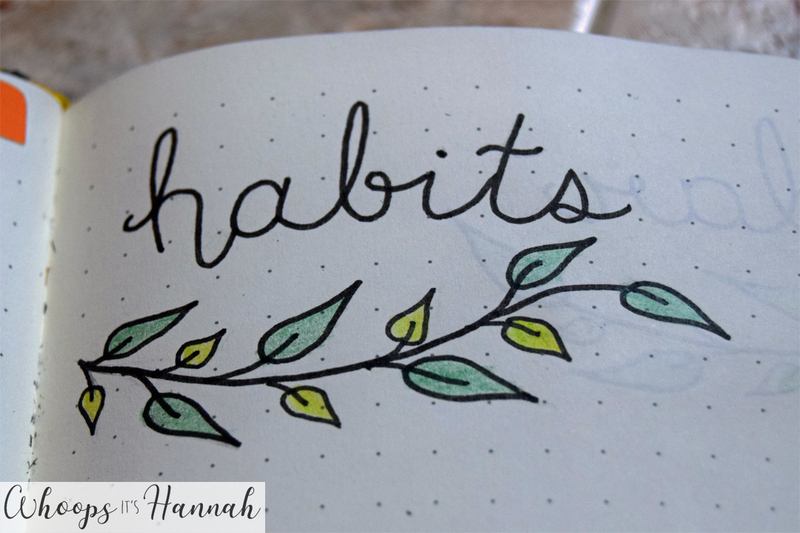 This month the habits I'm tracking are 'meditation', 'singing', 'acting', 'dancing', 'running', and 'journalling'. 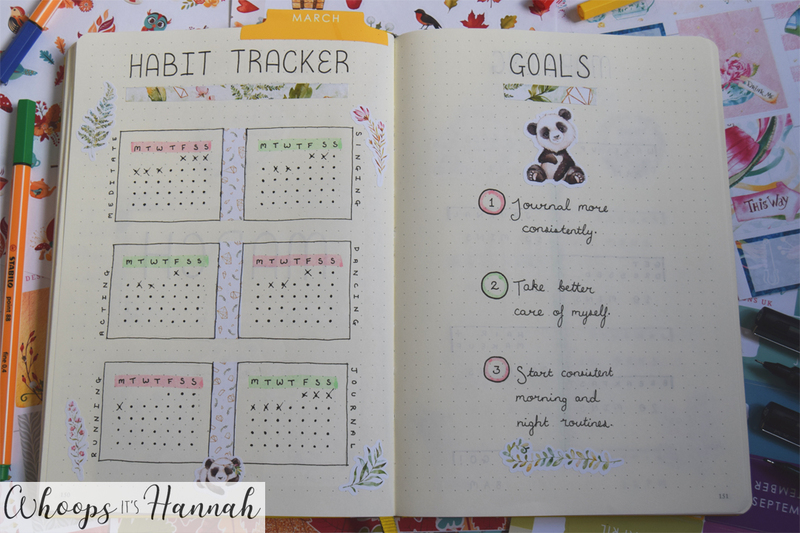 My 'Goals' page looks really neat in my opinion, and I love the way that panda and branch look as bookends to my three main goals. 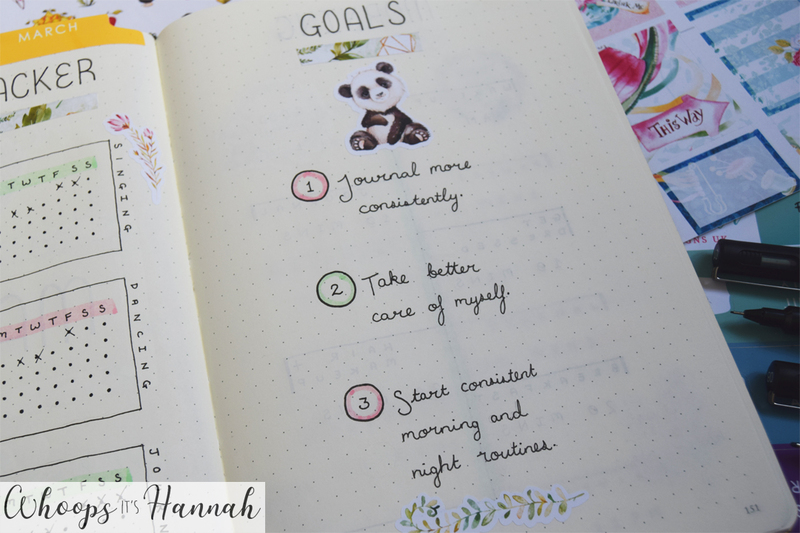 This month my goals are to 'journal more consistently', to 'take better care of myself', and to 'start consistent morning and night routines'. They all read a bit ambiguous but following a bad bout of anxiety I want to introduce better consistency and self care into my life, which is why I chose to focus on these. 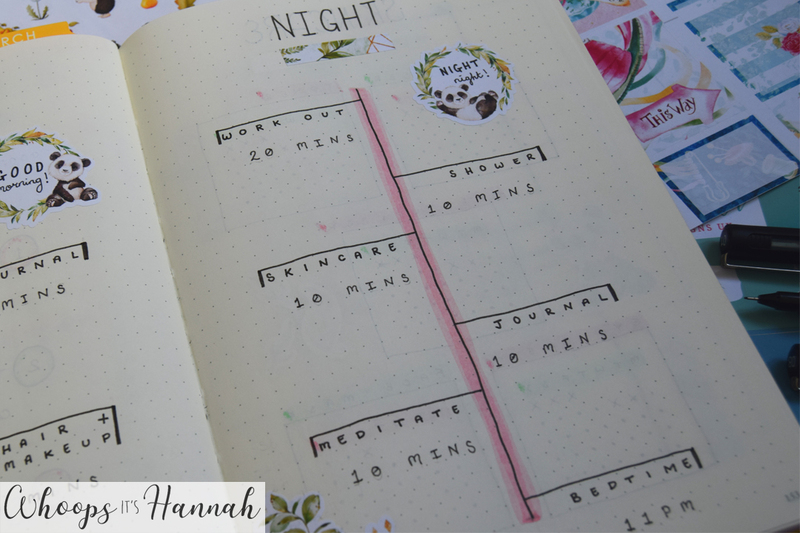 Over the page, I wrote out my ideal 'Morning and Night Routines'. 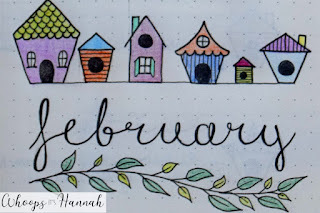 This is another idea taken from Pinterest. I don't have to stick to the exact times, or that exact order or whatever, but in a perfect world, this would be what I want my mornings and nights to look like. 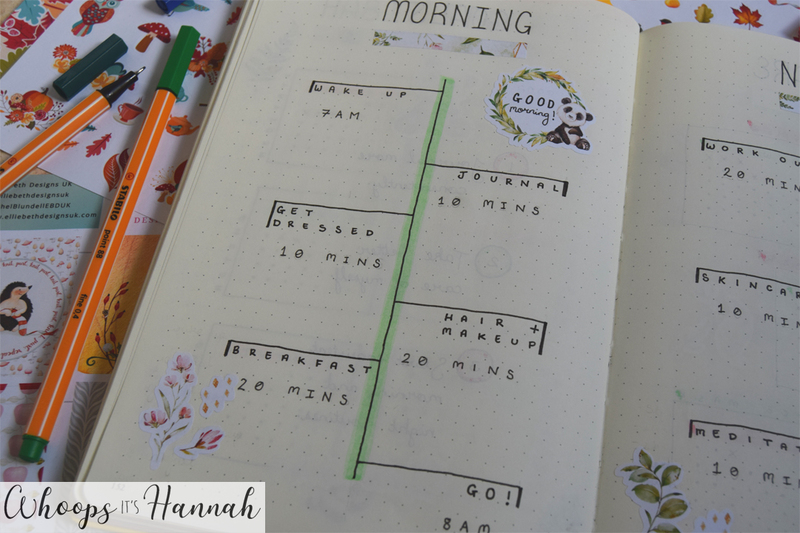 On the days when I've stuck to this, I've had such peaceful and calm mornings, and evenings that are perfect to unwind with. 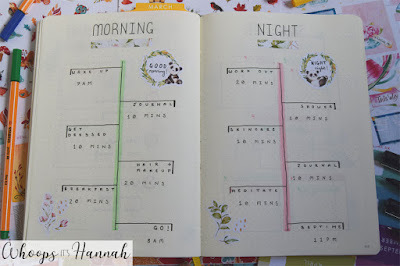 I also used the wreath stickers again to write 'good morning' and 'good night'; I felt that was a very cute way to decorate these otherwise simple pages! 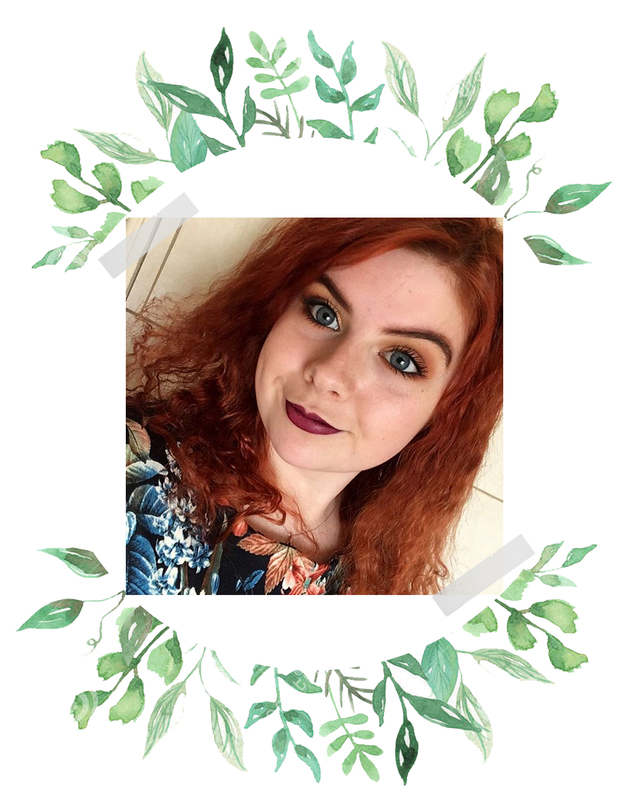 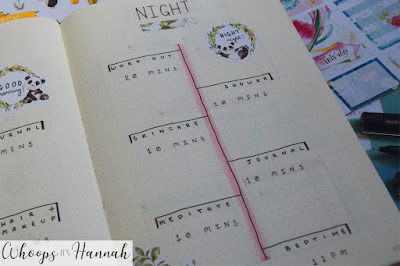 On the next page, I decided to track how well I stick to my 'Skincare Routine', especially since I added it to my 'Nightly Routine' on the previous page. 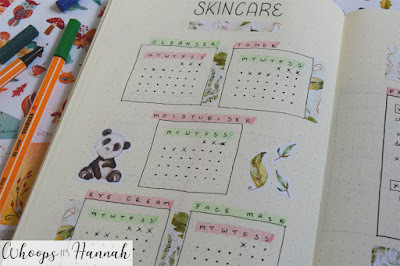 I did the same style of habit trackers that I used for my actual habits, but of course for this the titles are various parts of my skincare routine: 'cleanser', 'toner', 'moisturiser', 'eye cream', and 'face mask'. I have no intention of doing a face mask daily, but I thought it would be worth adding a tracker for it so I can see when I last did it. 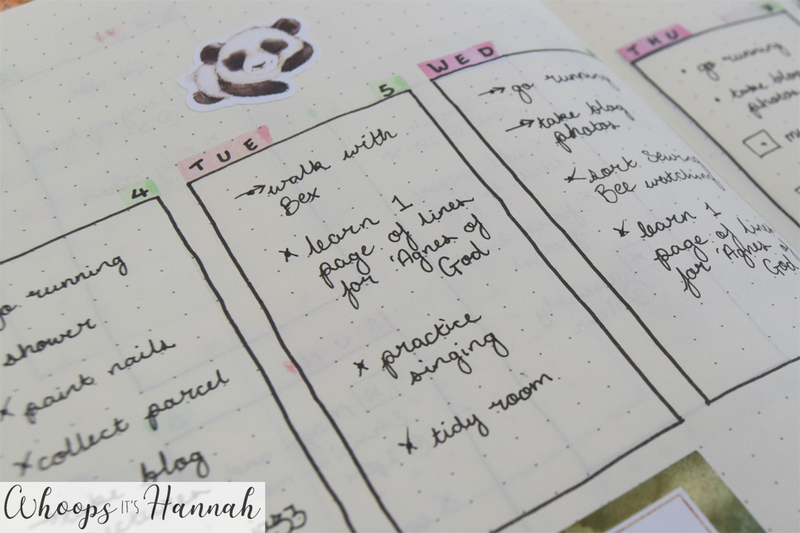 For my daily to-do lists, I decided to do a horizontal spread, leaving some negative space at the top and bottom. 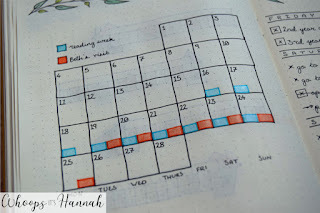 I used pastel highlighters in green and pink to add a bit of colour to the days of the weeks and the dates. 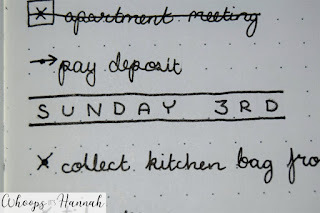 I also used an empty box to write the phrase 'you can do it' for a bit of positivity. 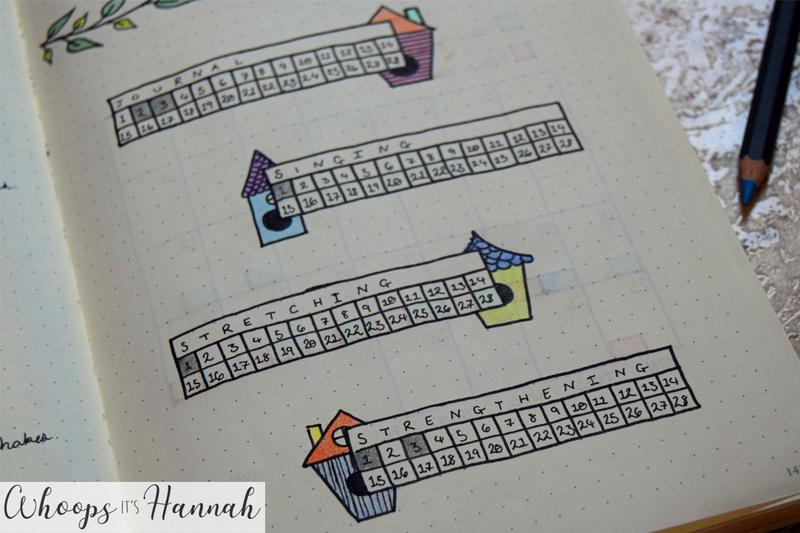 I did this sort of spread last August and really liked how it looked, but it takes a little bit of calculating and planning to get the boxes evenly spaced and measured. 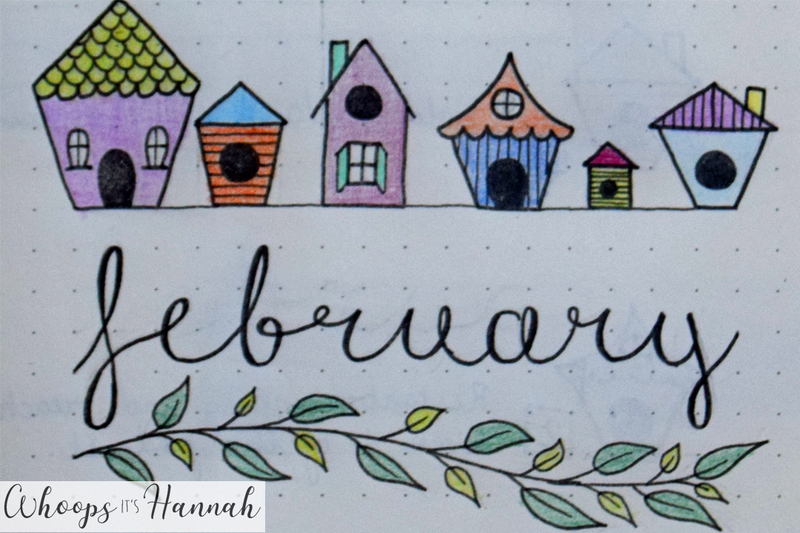 So that's it for my set up this month. 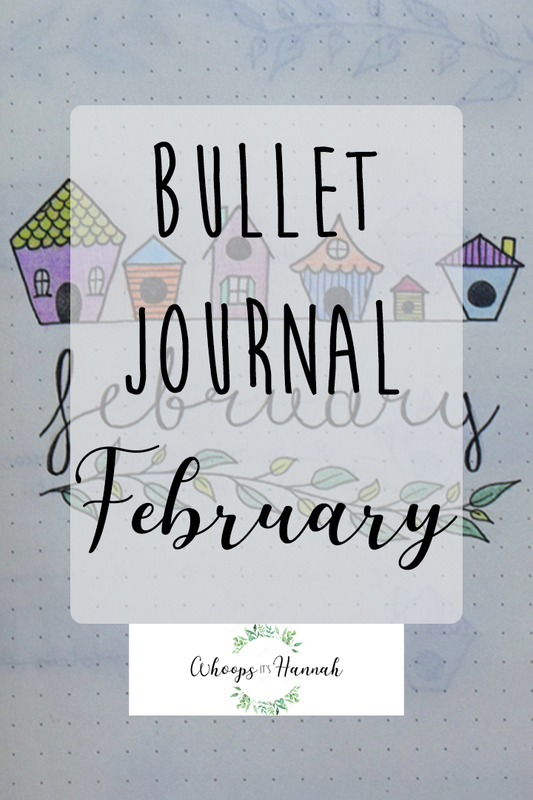 I find it really peaceful and concise, and have really been emjoying it so far this month. I hope you've found this post a good source of inspiration for your own bullet journal! 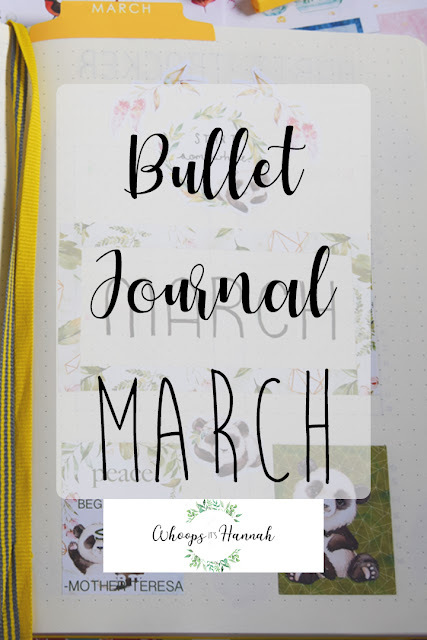 To see some more ideas, follow my Pinterest board or have a look at my other bullet journal posts. Hello! 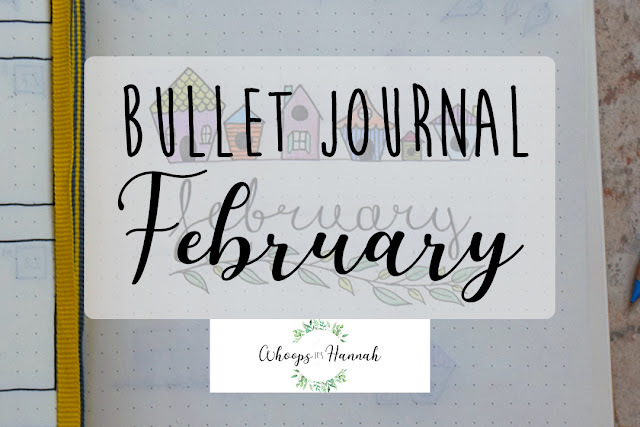 In today’s post I will be sharing the layout and set up I’ve done for my bullet journal for the month of February. 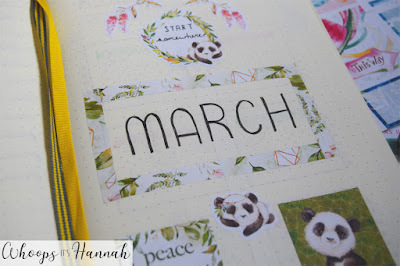 This month’s theme is colourful and flexible, and I hope you like it as much as I do! 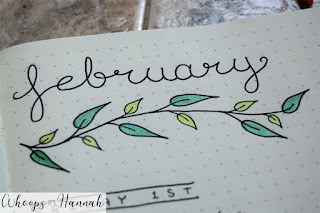 My cover page features the name of the month written in a calligraphy style. I added in the bird houses above the title with the intention of using some stickers I have from EllieBeth Designs, but unfortunately I left them in England when I came back to Spain. 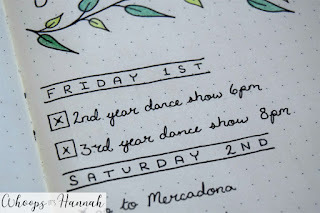 I may add them later on when I get the chance. To balance out the page, I added the branch and leaves underneath and was really happy with how they came out. 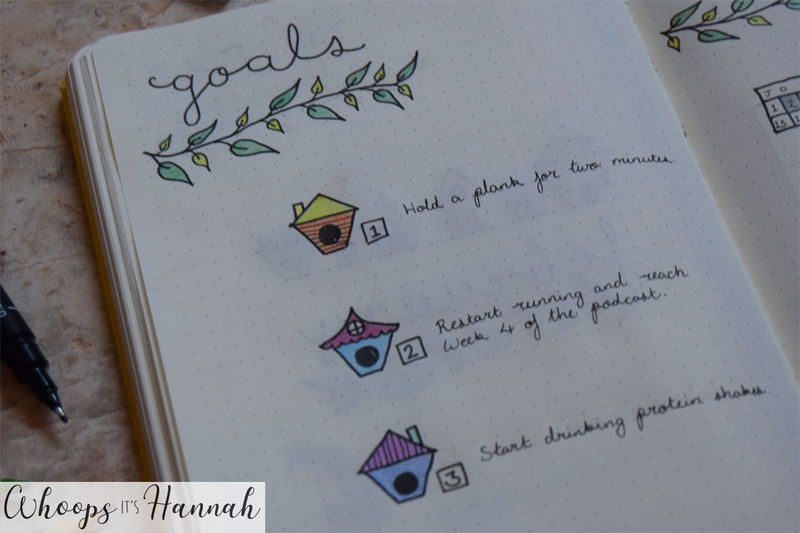 I wanted to make the page vibrant so I coloured in the leaves in some nice green shades and made the bird houses as colourful as possible. 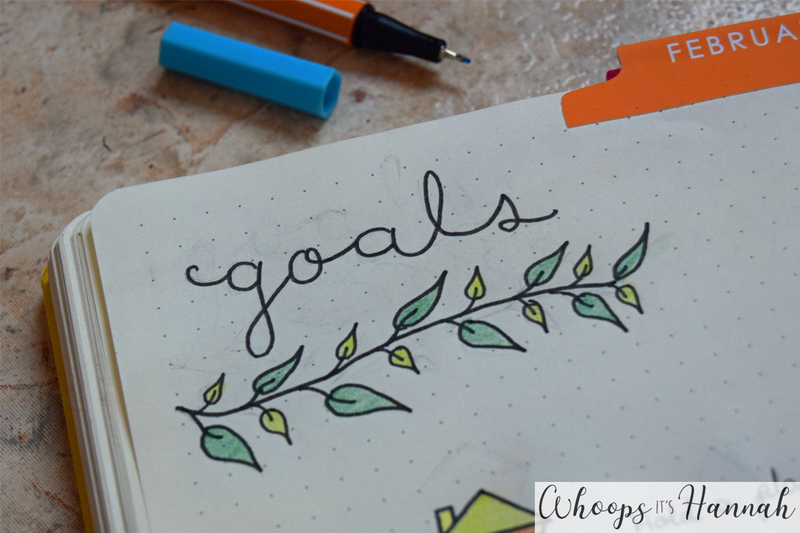 In the top corner of my ‘goals’ page, I wrote the title and carried through the branches from the previous page. The bird houses act as bullet points for my three goals this month. 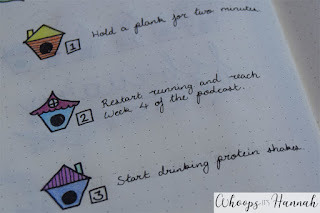 This month, my goals are to be able to hold a plank for two minutes without stopping, to restart running and reach Week Four of the NHS ‘Couch to 5K’ podcast, and to start drinking protein shakes to add the building of muscles. 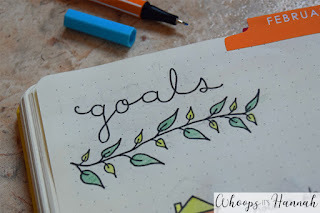 All of my goals this month are related to fitness and strength, which was actually an accident but I like that my goals this month have a theme! 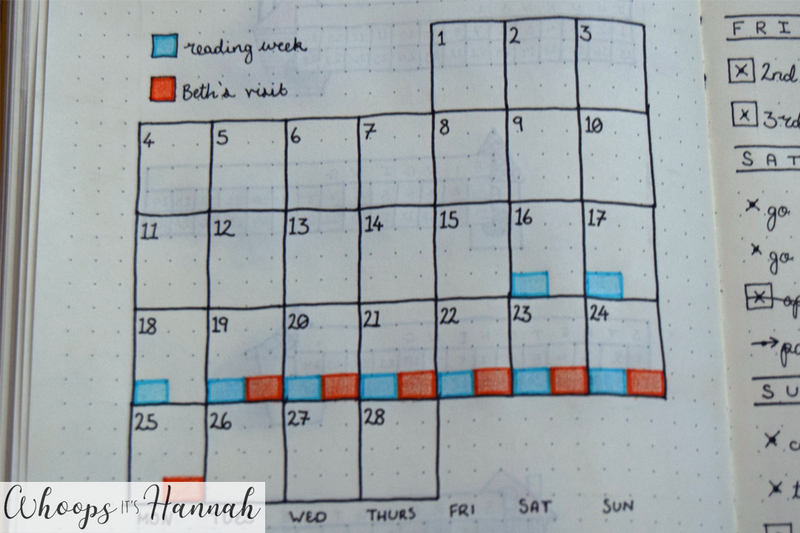 My habit trackers are laid out in my typical way, just my boxes that I fill in on the days that I do it. I’ve recently started tracking fewer habits, so that I can pay more attention to the ones that I’ve chosen. 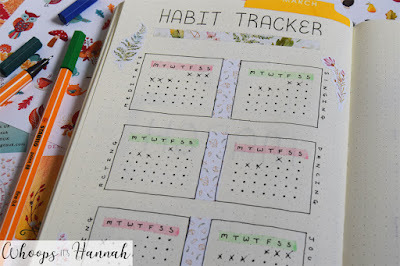 I find that when I have loads I forget what they are throughout the day and it just doesn’t work for me to track hundreds of habits. 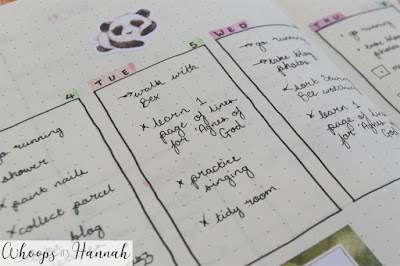 This month, the habits that I want to track are journaling, practising my singing exercises, doing stretching and flexibility exercises, and doing strengthening exercises. 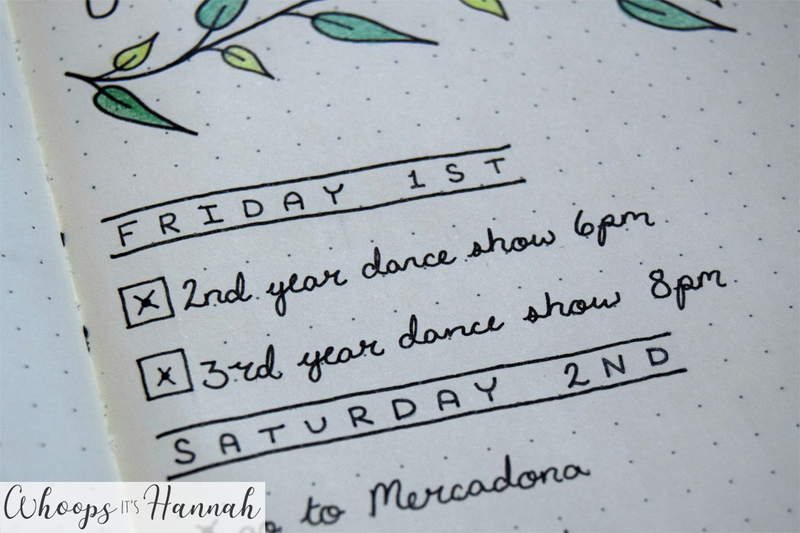 Most of these are linked to my course because I study musical theatre. 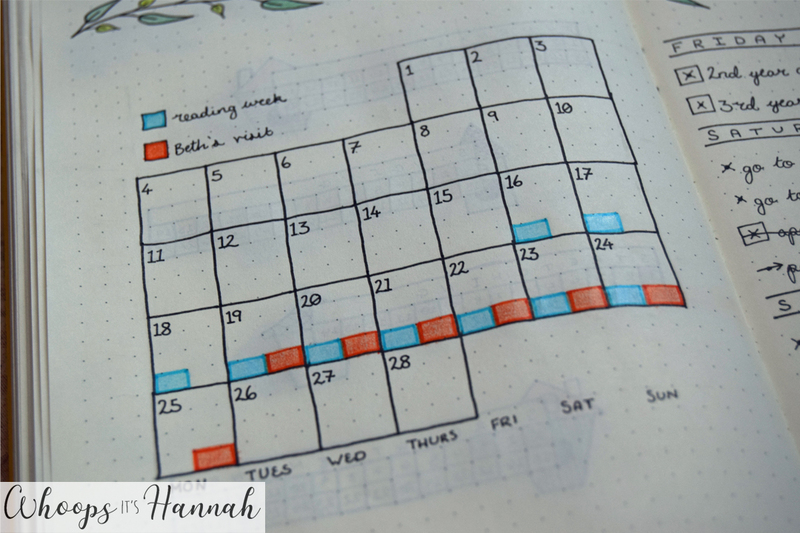 This month I have a couple of dates that are significant, so I wanted to do a calendar page so I could indicate where these dates are in the month, and also so I could mark in ongoing dates, such as my reading week (which is my half term from university) and my friend’s visit to Sitges as well. 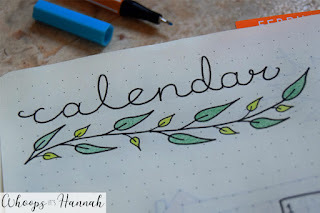 Sometimes it’s nice to have a calendar to track the days and dates of the month. Again, I’ve tried to add a bit of colour and connect it to the rest of the set up with the branches under the title. 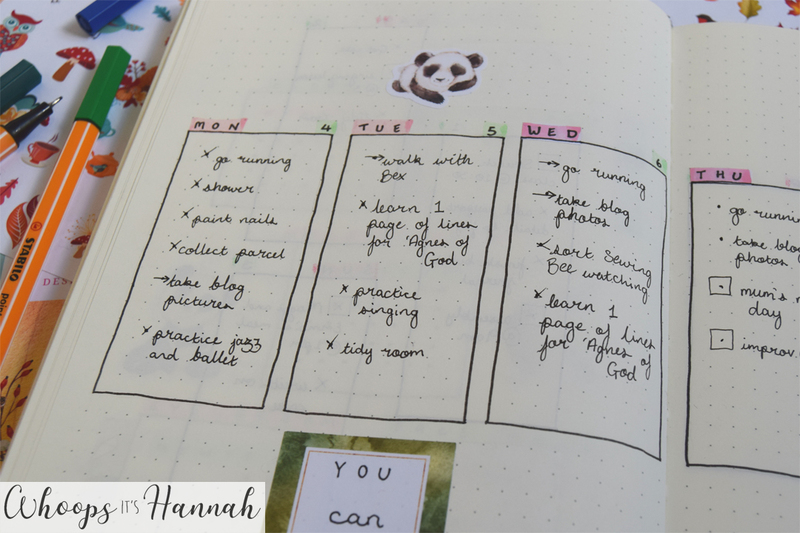 This month, I’ve decided to do a running spread, which means that instead of laying out the boxes and spaces for each day in advance, I just write the next day’s to-do list underneath the previous. 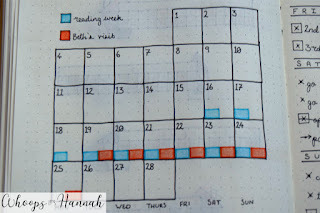 This means that I can take as much space as I need, so nothing feels cramped, and it also means that if I don’t have a long list or I don’t end up using my bullet journal one day, I’m not wasting space in the book with boxes that I’m not using. If you find that your weekly spreads are actually wasting a bit of space, this sort of layout can be a really good idea. 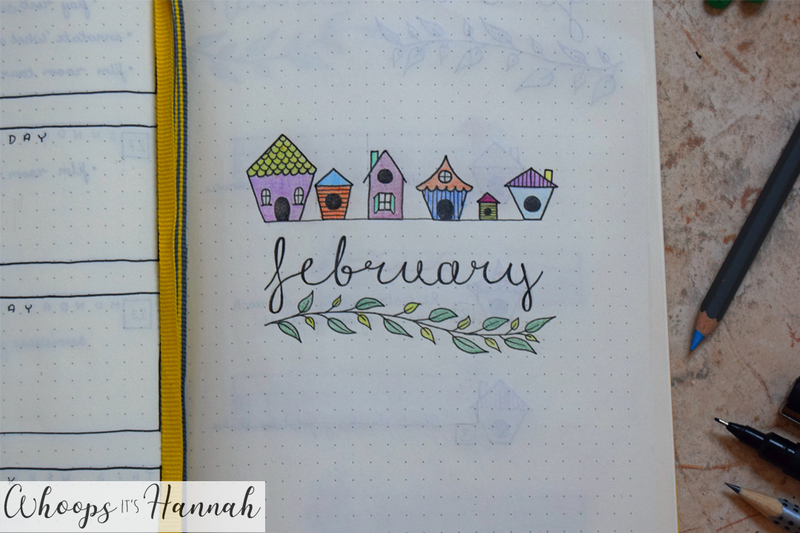 I hope that this post has been a good source of inspiration for your own monthly spreads. If you did enjoy it, please share this post so other people can see it too!